Finally, we&apos;ve arrived at the biggest and best night of awards season! The Academy Awards have been going strong for 90 years now, and as you know, celebs have always paid homage to classic old Hollywood style on the red carpet. Last night seemed different. Yes, there were still a few cases of vintage waves and "safe" makeup. But overall, I saw more colour, more freshness and more FUN in the beauty than ever before! Emma Stone at the 2018 Academy Awards. Close-up of Emma Stone at the 2018 Academy Awards. Makeup: I never thought I&apos;d write this sentence, but I LOVE Emma&apos;s shimmery, &apos;80s-inspired pink and purple eyeshadow! 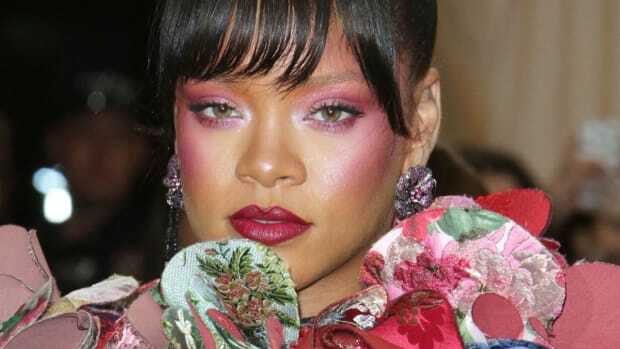 It&apos;s actually even more &apos;80s because of the hot pink "power blush" applied high up, towards the eyes (similar to Rihanna&apos;s Met Gala look last year). This is the kind of playful makeup I like to see on her—not the dark, cool tones she wore at the Globes! Hair: The smooth, straight lob in a deep side part is perfection (as is her strawberry blonde colour). Margot Robbie at the 2018 Academy Awards. Close-up of Margot Robbie at the 2018 Academy Awards. Makeup: Margot went super-natural, which makes sense with the white dress (although I maintain that her &apos;I, Tonya&apos; tour looks have been more exciting!). There&apos;s a kiss of colour on her lips, with matching rosy cheeks and silver eyeshadow. I love that she skipped eyeliner to keep it fresh. Hair: The real standout is her bob, freshly chopped a couple inches shorter. The bend is the 2018 way to do texture! Lupita Nyong&apos;o at the 2018 Academy Awards. Close-up of Lupita Nyong&apos;o at the 2018 Academy Awards. Makeup: The Lupita looks just keep getting better and better. Her skin is even more incredible than usual, and I love the tone-on-tone effect with the bronze lipstick. As we&apos;ve come to expect, she did colour on her eyes—a bright blue inspired by an ancient Egyptian goddess! Hair: The hair is equally cool; there are three braids woven with gold string, a nod to traditional Rwandan hairstyles. Gal Gadot at the 2018 Academy Awards. Close-up of Gal Gadot at the 2018 Academy Awards. Makeup: We&apos;ve seen versions of this makeup on Gal before, but it was definitely the right choice for her Art Deco-style dress. It&apos;s all about the lush berry lip with long lashes and perfect brows. Her skin is very fresh, and there&apos;s just enough contouring to accentuate her amazing bone structure. Hair: The clean, simple updo looks chic and glam. Jennifer Lawrence at the 2018 Academy Awards. Close-up of Jennifer Lawrence at the 2018 Academy Awards. Makeup: My first thought was, "Jennifer Lawrence is wearing A LOT of makeup." But I think it&apos;s also the hair and the dress that are contributing to sensory overload! Technically, the application is flawless. I love winged shadow on her (like we saw here) and I do think we&apos;re seeing the return of strong eyes with strong lips. 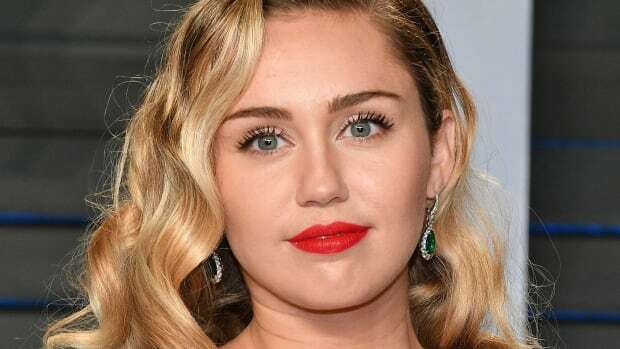 Hair: The waves are great, but I think they&apos;re better on her with more natural makeup (I&apos;m thinking of the Boho vibe she had going on here). I would&apos;ve done a slick, tight-to-the-head updo instead. It&apos;s always good to have one element clean and fresh, otherwise you start looking a bit aggressive! Zoey Deutch at the 2018 Academy Awards. Close-up of Zoey Deutch at the 2018 Academy Awards. Makeup: If you&apos;ve never thought about matching your lipstick to your eyeshadow, I bet you&apos;re considering it now! These berry tones (with bold brows and soft lashes) elevate Zoey&apos;s classically glamorous look. I just wish her skin wasn&apos;t quite so matte. Hair: I didn&apos;t realize her hair was this long now! Even though we&apos;ve seen retro waves a zillion times before, they look fresh at this length. Her colour is gorgeous, too. Eiza González at the 2018 Academy Awards. Close-up of Eiza González at the 2018 Academy Awards. Makeup: When your dress can stop traffic, you don&apos;t need much in the way of makeup, and that&apos;s exactly how Eiza played things here. The sunny, orangey-red lipstick adds a nice pop, but the rest of her face is natural and fresh. I&apos;d love to see her brow tails grown in more (or microbladed). Hair: There&apos;s nothing contrived about this hairstyle; it&apos;s just soft and easy. Zendaya at the 2018 Academy Awards. Close-up of Zendaya at the 2018 Academy Awards. Makeup: I swear this photo has not been retouched—Zendaya&apos;s skin really looks this air-brushed! I could also stare at her smoky eyes for DAYS, the blending is so immaculate. Clear lip gloss balances them out nicely. I think her brows and lashes are more natural than we&apos;ve seen in the past. Hair: The top knot is cute... this was not the place for one of her exaggerated wigs! Sandra Bullock at the 2018 Academy Awards. Makeup: It&apos;s been a while since we&apos;ve seen Sandra, and I really like her new edgy vibe—thanks to the combination of brushed-up eyebrows and smudgy, smoky charcoal eyeshadow. Her cheeks look a little over-injected, but the blush and lip colour are both pretty. Can you believe she&apos;s 53?! Hair: She was born to wear this centre-parted, straight hairstyle. Emily Blunt at the 2018 Academy Awards. Close-up of Emily Blunt at the 2018 Academy Awards. Makeup: For once, Emily&apos;s makeup isn&apos;t too harsh for her colouring. I love the peachy-pink lipstick and blush, and the silver eyeshadow was a nice touch to pick up on the colour of the dress. (But man, this dress! HARD PASS on the puffed sleeves and high neckline.) Hair: There was no other choice here except an updo. But between the blonde hair and pale dress, she looks washed-out. I miss her brunette! Salma Hayek at the 2018 Academy Awards. Close-up of Salma Hayek at the 2018 Academy Awards. Makeup: Few people could look as gorgeous as Salma in purple lipstick! I think it makes her dress look more lavish and elegant. As always, her skin defies the aging process. I&apos;m just not a fan of the unnaturally long lashes (but at least they&apos;re not heavy). Hair: The romantic low chignon with face-framing wavy pieces was the obvious choice for this look. Allison Williams at the 2018 Academy Awards. Close-up of Allison Williams at the 2018 Academy Awards. Makeup: Finally, Allison got the memo! Previously this awards season, we&apos;d seen her in harsh, dry, brown-toned makeup. So this is a huge improvement, even if it&apos;s not very memorable (and the lashes are a bit over-the-top). Hair: The waves look soft and touchable, but the effect is too "done"—too boring and conservative. Gina Rodriguez at the 2018 Academy Awards. Close-up of Gina Rodriguez at the 2018 Academy Awards. Makeup: Gina&apos;s skin looks great, and I think she pulls off pale pink lipstick really well. But I can&apos;t get behind the white eyeshadow! I think she needed more shading at the lash lines, not so much at her outer lids—like she had on this red carpet in 2015. Hair: It&apos;s way more interesting from the side, as it&apos;s not an updo but a low bubble ponytail (well, with only one bubble). I do think it would be nice to see her hair down more often. Allison Janney at the 2018 Academy Awards. Close-up of Allison Janney at the 2018 Academy Awards. Makeup: Allison&apos;s eye makeup is fantastic. The liner defines her eyes in a modern way, but because it&apos;s in a soft charcoal instead of black, it doesn&apos;t look "hard." The matte pink lip colour is also great, but I&apos;d tone down and warm up the blush. Hair: The updo and side bang are super-flattering. Saoirse Ronan at the 2018 Academy Awards. Close-up of Saoirse Ronan at the 2018 Academy Awards. Makeup: I know she&apos;s not everyone&apos;s taste, but Saoirse has had some of the most interesting makeup looks this awards season. This one was inspired by late 19th century Japanese manga style (how specific is that?! ), which translates into a pink stain at the centre of the lips, and pink eyeshadow-turning-into-blush. (Actually, it was all done with blush!) Although her skin&apos;s a little dry, I think this suits her far more than the conventional glam she had last year&apos;s Oscars. Hair: Just like Margot, she got a new bob. It gives the dress a more youthful, casual feel, which I love. I think the roots were also deliberate! Taraji P. Henson at the 2018 Academy Awards. Close-up of Taraji P. Henson at the 2018 Academy Awards. Makeup: Like Salma, Taraji went for a purple lip—I&apos;ve always liked this colour on her! The silvery shadow is unexpected and cool, although I&apos;d prefer more natural lashes (and less precise brows). Hair: I&apos;m such a fan of this angular straight lob on her; it&apos;s definitely her Life Cut. Nicole Kidman at the 2018 Academy Awards. Close-up of Nicole Kidman at the 2018 Academy Awards. Makeup: Nicole looks really good here! I like the red lipstick and blush; they brighten her face and look younger/more current than when she does paler tones. The fuller brows are also good, and I&apos;m fine with the lashes since she doesn&apos;t have much lid space. Her skin doesn&apos;t look dry, like it did at the SAGs. Hair: I&apos;m glad she wore it down! I think updos can be a bit aging on her. Helen Mirren at the 2018 Academy Awards. Close-up of Helen Mirren at the 2018 Academy Awards. Makeup: Helen wears cool-toned makeup so well. The pink lips and blush are perfect with her skin tone, hair colour and dress. Her false lashes are long, but soft, and there&apos;s no harsh eyeliner—just some silver highlights at the inner corners to brighten her eyes. Hair: Just like the twentysomethings here, she&apos;s dressed down her outfit with a cool, casual bob! Viola Davis at the 2018 Academy Awards. Close-up of Viola Davis at the 2018 Academy Awards. Makeup: Viola definitely has a thing for ridiculous lashes! If only she&apos;d gone more natural, I could get behind this look, which is such a fun departure from her usual style. I like how her brows were handled, along with the smudgy liner, light eyeshadow and mauve lips. Hair: Really, this is more about the statement curls (which are actually a ponytail). Samara Weaving at the 2018 Academy Awards. Close-up of Samara Weaving at the 2018 Academy Awards. Makeup: Emma Stone wasn&apos;t the only one doing &apos;80s pink and purple shadow. Samara&apos;s eye makeup has a similar vibe, just with more smokiness, less shimmer. It&apos;s so good with her full brows and soft coral lips. Her blush doesn&apos;t look blended, but hopefully that&apos;s just the angle. Hair: You can never go wrong with a loose, soft, feminine updo. Jennifer Garner at the 2018 Academy Awards. Close-up of Jennifer Garner at the 2018 Academy Awards. Makeup: I don&apos;t love it. I think Jennifer looks better with more colour on her lips (see here, or even here), not such a pale shade... with obvious lip liner! I&apos;m not opposed to emphasizing the lower lash lines, but I feel it looks kind of dated with the hair and the dress. Hair: She does have amazingly thick, healthy hair, but see that &apos;80s "swoop" at the front? I think you have to be careful with that, past a certain age. It has to be paired with the right makeup and dress to look modern... and this is not the look! Danai Gurira at the 2018 Academy Awards. Close-up of Danai Gurira at the 2018 Academy Awards. Makeup: When your hair is this short, it&apos;s all about making that cheek pop, which Dani is doing with her plum blush and gold highlighter. I love the similar shade on her lips, in a high gloss, with smudgy black liner to rim her eyes. Hair: The finishing touch? An intricate white stamp and shaved detail on the side of her head, which was inspired by African tribal patterns. So good! Leslie Mann at the 2018 Academy Awards. Close-up of Leslie Mann at the 2018 Academy Awards. Makeup: Leslie looks radiant in this red-orange lipstick to match her dress. Heavy eye makeup would overwhelm her delicate features, so I&apos;m glad she paired it with soft lashes and brows. She has really nice skin! Hair: Long, loose and effortless was the way to go. That not-quite-blonde, not-quite-red colour is gorgeous. Elisabeth Moss at the 2018 Academy Awards. Close-up of Elisabeth Moss at the 2018 Academy Awards. Makeup: Elisabeth suits a light touch on the makeup, so I approve of this simple, lip-focused look. With her light hair and dress, the bright fuchsia adds some necessary colour. Hair: I&apos;m not crazy about the style, but the bigger issue is the colour. Blonde just washes her out. A medium to light brown would be such a welcome change! Greta Gerwig at the 2018 Academy Awards. Close-up of Greta Gerwig at the 2018 Academy Awards. Makeup: I love seeing unexpected shades together, like Greta&apos;s mustard yellow dress with matte raspberry lipstick (instead of a predictable red). Long lashes and winged liner add to the drama, with dark, feathered brows to anchor the look. I just think her skin finish could be better (it&apos;s so powdery and matte). Hair: The 1920s bob is what takes this to the next level. Finally, a twist on vintage glamour that does not involve Veronica Lake waves! Sofia Carson at the 2018 Academy Awards. Close-up of Sofia Carson at the 2018 Academy Awards. Makeup: Sofia&apos;s skin has a nice dewiness... even though it&apos;s obviously lighter and pinker in tone than her neck! I like her strong brows and I can live with the lashes; they&apos;re balanced by matching peach shades on her eyes, cheeks and lips. Besides the foundation-matching issue, her bottom lip liner could be more blended, and the brow pencil is too warm. Hair: The side-parted updo is fine, although it&apos;s all a bit "princessy." Haley Bennett at the 2018 Academy Awards. Close-up of Haley Bennett at the 2018 Academy Awards. Makeup: I love Haley&apos;s flushed cheeks and bright coral-stained lips! She also has such good skin, that doesn&apos;t need foundation (or at least looks that way). Her eye shape was handled beautifully, especially with the highlights at the inner corners. But speaking of eyes... WHY does she want to wear these obvious green contacts?! Hair: I like the bob, but not so crazy about the short bangs and the streaky colour! Did you know she used to be a redhead? I love this colour for her! Mary J. Blige at the 2018 Academy Awards. Close-up of Mary J. Blige at the 2018 Academy Awards. Makeup: Mary&apos;s skin looks good, and her brows were handled well. I also like combo of warm gold shadow with a cooler-toned light pink on the lips. But as a general rule, I&apos;m against white liner in the waterlines (does it ever actually "work" to make your eyes look bigger?!). The lashes aren&apos;t my favourite, but compared to Viola Davis, they&apos;re fine! Hair: Anytime I see hair like this, I think of &apos;Something About Mary&apos;! I&apos;d rather see her bang pushed down, sweeping over one eye. Laura Dern at the 2018 Academy Awards. Close-up of Laura Dern at the 2018 Academy Awards. Makeup: Laura looks good! She seems so comfortable in this makeup, which features a pretty medium-pink lip and soft greenish-greys smudged around her lash lines. It&apos;s just enough to emphasize her features without overwhelming them. Hair: I may be "over" side-swept vintage waves, but I have to admit, these are fantastic on her (as is her colour). I think it&apos;s because we&apos;ve never seen her styled this way before! Molly Sims at the 2018 Academy Awards. Close-up of Molly Sims at the 2018 Academy Awards. Makeup: I think I see some colourful eyeshadow... but it&apos;s mostly obscured by the long, chunky lashes! (Again: not bad if you consider them beside Viola Davis&apos;). Overall, I just find Molly&apos;s makeup a little dated. Her skin finish is dry, and has a bit of an orange cast, I&apos;m guessing from spray tan. It&apos;s funny, her cheeks look very obviously injected but her lips look really natural and have a great shape (and colour). Hair: I think the main problem is that this blonde is not working for her skin tone! Here she is with light brown hair—THAT&apos;s her colour!